In a Nutshell: “Vacation” is one of those words that automatically puts people in a good mood and relaxes the tension from everyday life. But the term has different meanings for different people. For example, adventure seekers likely aren’t the type to sip a colorful drink on the sandy shores of a sunny beach. The Adventure Travel Trade Association has over 1,300 members, many of them tour operators, who specialize in providing memorable trips and unforgettable experiences. Trips can be as diverse as trail running retreats through the mountains of Colorado to wildlife safaris in East Africa and almost everything in between. If you have unused travel rewards sitting in your credit card account, an adventurous trip of a lifetime may be easier (and cheaper) than you think. Not everyone’s definition of a relaxing vacation is the same. While one person may opt to lay on the beach and soak up the sun, another person may decide to hike through a dense and remote jungle in search of the type of wildlife you only see on National Geographic. If you have the disposable time and income, there’s a destination somewhere on the globe that will cater to your interests, tastes, and desires. And while finding that perfect destination once required a specialized travel agent, today, the internet allows thrill-seeking travelers to access locations on their own like never before. That access has made traveling easy and more diverse for the today’s tourists — many of whom opt for experiences over souvenirs. After all, an irreplaceable memory always beats a snowglobe from the largest cheese store in Wisconsin (full disclosure: I received one of these as a gift. Sorry, Mom). 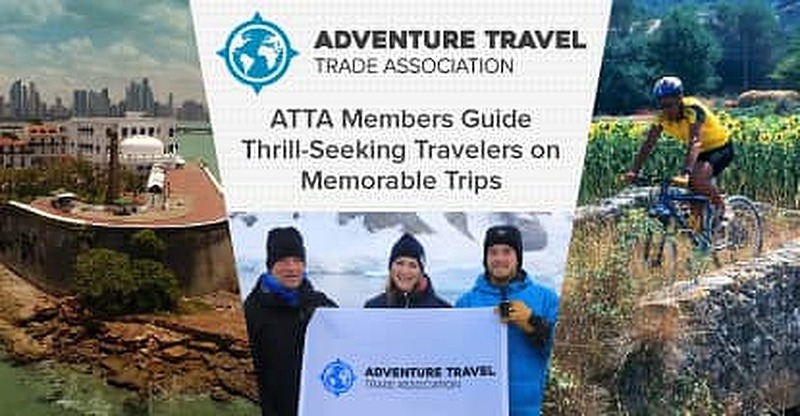 Some of the most successful adventure travel tour operators are members of the Adventure Travel Trade Association (ATTA), which provides a website where travel businesses can learn about industry trends, promote their services, and network with industry professionals in one convenient location. The ATTA’s membership includes more than 1,300 tour operators and travel providers with access to destinations in over 100 countries. Just as every traveler’s idea of a relaxing vacation is different, most people have varying opinions on the meaning of adventure travel. The ATTA conducted extensive research on the topic in 2006 and revisited it in 2016 to see if the definition had changed. Hanisko noted the ATTA altered its definition in 2016 to reflect a change in travel culture from the previous decade. ATTA-affiliated travel operators offer a number of diverse adventure opportunities, from guided trail running retreats through the mountains of Colorado to wildlife safaris in East Africa and almost everything in between. If you have unused travel rewards sitting in your credit card account, an adventurous trip of a lifetime may be easier (and cheaper) than you think. Most credit card companies have redemption options that will reimburse cardholders for travel expenses such as airfare, car rentals, hotels, tours, and attractions. Points are typically redeemable at a 1¢-per-point conversion rate on eligible purchases, though occasional promotions could make the points even more valuable. The economic impacts of travel have increased exponentially over the last decade and accounted for an estimated $7.6 trillion globally in 2017. 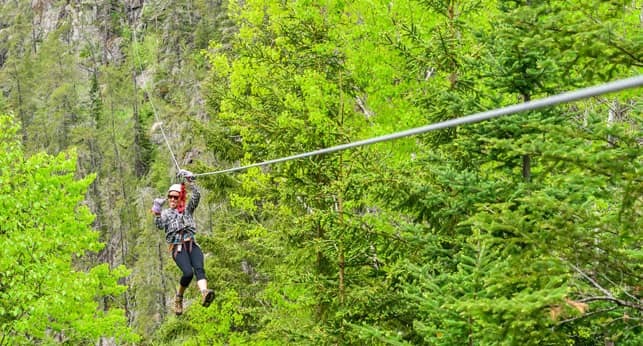 As travelers seek out unique trips with experiences that differ from traditional destinations, adventure travel tour operators are claiming a larger portion of that spending. 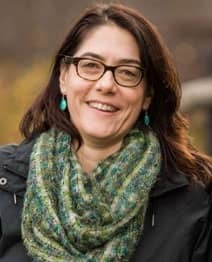 Casey Hanisko is Vice President, Marketing & Communications for the ATTA. “Our projection for the international adventure travel market conservatively values it at $683 billion,” Hanisko said. Hanisko pointed out that adventure travel has an even deeper impact on the residents of the travel destinations because the trips produce, on average, 2.6 local jobs per $100,000 in tourism receipts. Traditional tourism only produces 1.5 jobs per $100,000. And since many adventure travel tour operators work with local vendors and employees, a majority of the money spent on an adventure vacation stays in the destination. ATTA research shows that approximately 66% of travel itinerary costs remain in the area where they’re spent. While many industries are struggling to market their services to the millennial generation, the travel industry automatically attracts this generation of consumers who tend to value experiences over possessions. ATTA members help travelers of all ages and experience levels create memorable trips around the globe. Baby boomers, born between 1946 and 1964, tend to have a value-conscious mindstate inherited from their Depression-era parents. Still, Hanisko said, the group is traveling in a fashion that is far different than their parents ever dreamed of. Hanisko said that millennials, on the other hand, have shown they don’t mind spending on experiences but are cost-conscious when choosing hotels or other accommodations. Hanisko said that about 60% of ATTA members are either inbound or outbound tour operators — meaning they either live in the destination, fly in with a group, or sell an itinerary to a local travel group. ATTA membership has many benefits, including an internal website where members can communicate and network privately. Members also get discounts to several ATTA events held at various destinations each year, as well as discounted access to online webinars, education opportunities, and research and white papers the organization releases. The organization’s consumer-facing website, Adventure.travel, gives members an opportunity to promote their destination or tours to an interested readership. For travelers, there’s nothing like a relaxing getaway where you can focus on what makes you feel good without having to check voicemails or emails every 30 minutes. ATTA members provide opportunities for travelers of all ages and skill levels to get out of their cellphone’s signal path and escape the real world. You may not bring a nifty snowglobe back with you to show the neighbors, but the memories you collect will only increase in value.